Team RCE Chassis (TRCE): MSRP $189.99 *** No Longer Available. 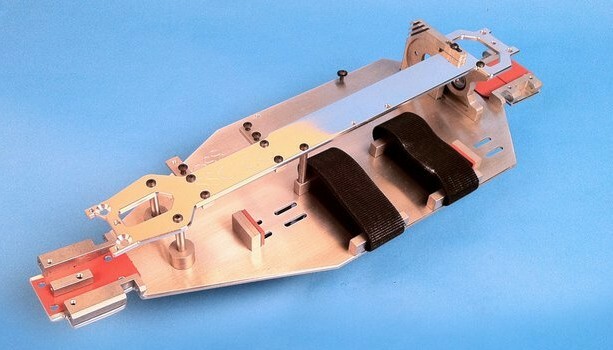 Features: Ships un-assembled, Made from 3mm Carbon fiber and Nickle plated magnesium, Battery tray accepts 2-3 cell lipos, Motor mount and the bulkhead act as a heat sink. This is a very popular chassis south of the border. TRCE make Front/Rear shock towers and A-Arms for the Slash 4×4 as well. This is a durable, great looking kit. More Info at RCE LCG Carbon Fiber Conversion Kit. Shining Star Chassis (SSC): MSRP $155 – $175 *** No Longer Available. Features: Pre-assembled 6061 Aluminum Chassis Kit, 1.5-inches of battery adjust-ability, Battery tray accepts 2-3 cell lipos, Heavy duty stand alone motor mount means 20-30 degrees less motor temps. This is a solid kit; it is among the most popular LCG Kits in the U.S. This is a tough chassis with proven results. 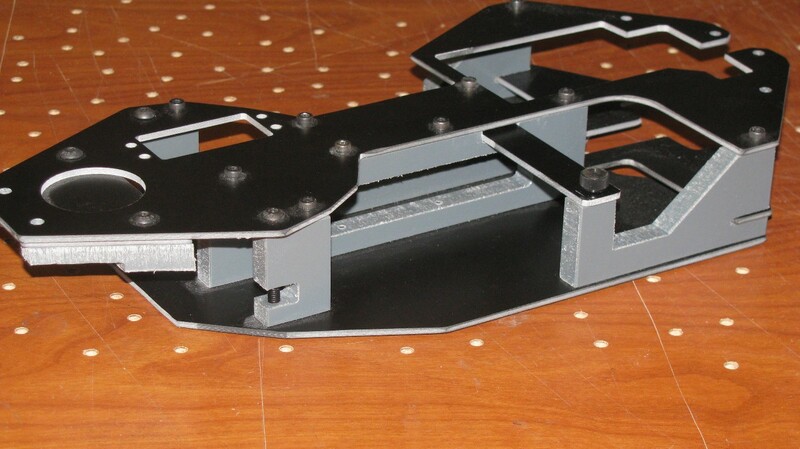 SSC is working on a another version of this chassis called the V2-Diamond Back Edition Design. 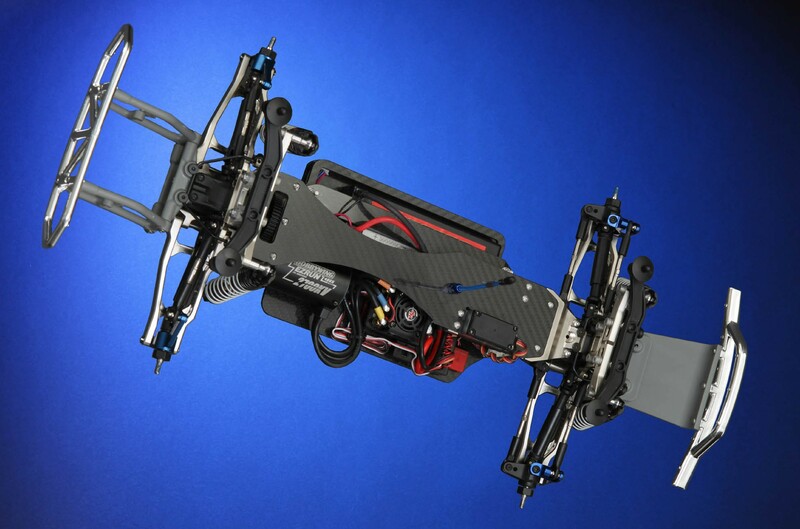 In August 2015, SSC released their latest chassis, the v2.5f. More Info at SSC LCG Kit. Features: Hard anodized CNC Machined Aluminum lower chassis and front bulkhead, Graphite battery hold down and Upper deck, the rest of the chassis is CNC Machined Aluminum. This is by far the least expensive of the Aluminum LCG kits, but that doesn’t mean it is cheap. It is relatively new to the market and quickly finding its place beside the giants. STRC also have articles detailing the design and development of their Slash 4×4 LCG Kit. More Info at STRC Slash 4×4 LCG Conversion Kit. Features: This is the same chassis that comes with the Traxxas 1/10 Rally model. This is a complete kit with all the hardware needed take the stock Traxxas Slash 4×4, and make it into a LCG Slash 4×4. It is made from the same material as the stock chassis. 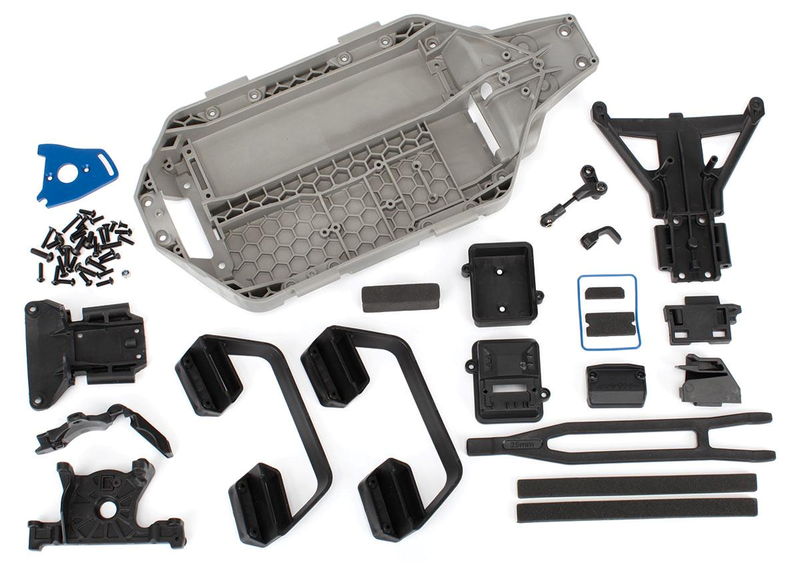 More Info at Traxxas Chassis conversion kit. 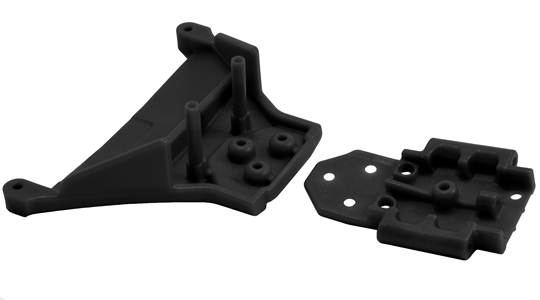 UPDATE Nov 2013: RPM has come up with a Front Bulkhead to help resolve the issues being reported with the Traxxas LCG kit. NOTE: Some of these chassis may be hard to find in stock. Many of these companies are small businesses and only make more stock once the previous supply dries up. Don’t be afraid to contact them and find out when they plan on having more in stock. All offer excellent customer service.